The name may sound odd, but “social dieting” is not a new idea. Diet plans that have meetings and group weigh-ins have been around for decades. I’m participating as a coach in the “6 Weeks to a Healthier You Challenge”, which can be thought of as “social dieting”. One of the goals is to lose 6% of your body weight during the challenge, or if you are at a happy body weight, pledge to not go about 1% of your current weight. Prizes are determined by how many people join the challenge and “ante up”. But of course the real “win” is working hard to reach a new weightloss goal. Did you know that a Mayo Clinic study shows that people lose 3 times more weight as part of a group, than on their own? Additionally, if they compete as a group against another group they are 5 times more successful? 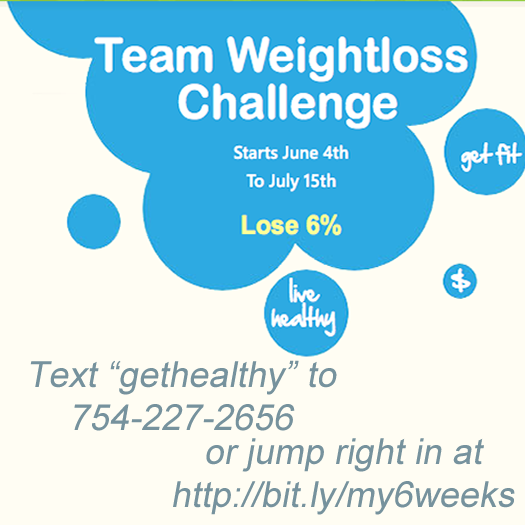 I’d love you to join my team in the 6 WEEKS TO A HEALTHIER YOU CHALLENGE! This entry was posted in Uncategorized by danita. Bookmark the permalink. Are you ready to protection your family and pets from dangerous chemicals in your home? Enter your contact info below, and we'll send you our free report immediately! Are You Searching for Optimal Health?